0 Comments Published by KL Ocs Kid on at 10:13 AM. 0 Comments Published by KL Ocs Kid on at 10:12 AM. Jamie Carragher believes Arsenal underlined their title credentials with their superb performance in the 1-1 draw at Anfield. Cesc Fabregas' 80th minute goal secured the Gunners a well deserved point to take them back to the top of the Premier League. And former England defender Carragher feels that anyone who questioned Arsenal's ability to challenge for honours this year are well wide of the mark. Carragher said: "Are Arsenal as good as people say they are? You'd better believe it, I thought they had 12 men out there!" are just six points behind and it was nearly a couple less with that display. "We battled hard, and we are proud of the way we played with commitment and effort, but Arsenal did play well, they are going to be a tough side to catch. forgotten that we are still unbeaten in the league ourselves this season." 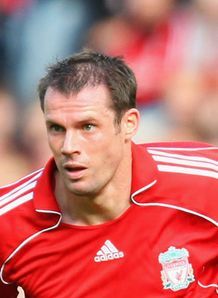 The Liverpool defender added: "We know we have had too many draws. 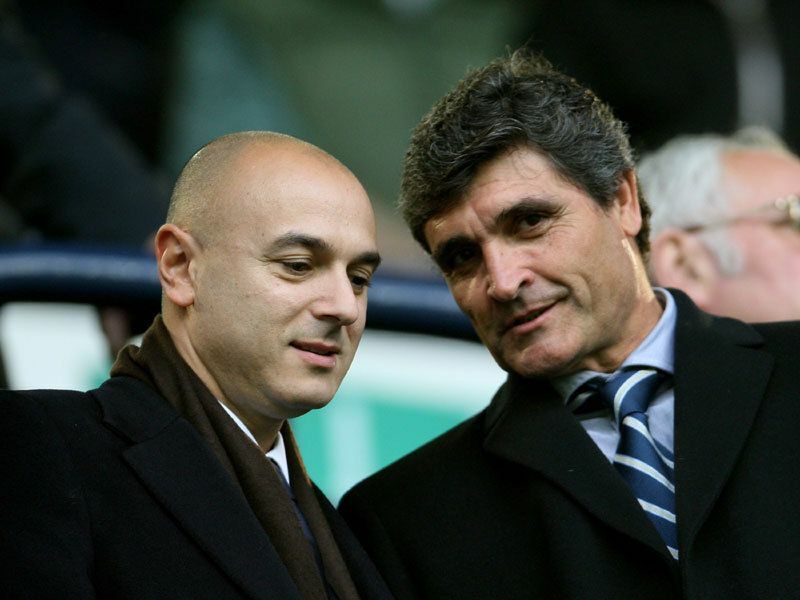 We have just held Arsenal, which we feel is a good result, but we now must improve our home form." Liverpool goalkeeper Jose Reina also hailed the performance of Arsene Wenger's title hopefuls. 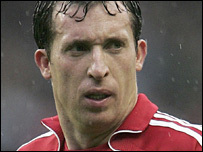 The Spaniard said: "There's not much doubt they were one of the best sides I have ever played against. not deserve to win but we didn't deserve to lose either." He added: "I think it is a point gained because they were the better side. of the best sides I have ever seen." 0 Comments Published by KL Ocs Kid on at 10:10 AM. 0 Comments Published by KL Ocs Kid on at 10:09 AM. 0 Comments Published by KL Ocs Kid on at 10:34 AM. 0 Comments Published by KL Ocs Kid on at 10:32 AM. Javier Mascherano is holding thumbs over making his loan deal at Liverpool a permanent one at the end of the current season. The Argentina international prepares for Sunday's home clash with Premier League leaders Arsenal intent on pushing the Reds towards their first title in 17 years. But his own future is already becoming a source of debate. The midfielder arrived from West Ham during last season on an 18-month loan with the prospect of a permanent deal to be discussed at a later stage. Mascherano's move to the Hammers - along with countryman Carlos Tevez - caused the east London club and the Premier League major problems last term due to third party involvement in the deals. The Anfield club will have to negotiate with those same third party investors to sort out Mascherano's future, and already sources have started linking him with a move to Spain or Italy. But Mascherano said: "Of course I would love to stay and I will do everything I can to see that this happens. It depends on what everyone decides at the end of the season. "I have just got to make sure everyone is happy with my performances and they want me to stay. From a personal point of view, I want to be here to play in the new stadium. "We are already one of the greatest clubs in the world, but with the plans for the future we could become the world's greatest team." Mascherano knows, though, that the immediate objective is to recover from the UEFA Champions League nightmare of Besiktas in midweek that has cast a giant shadow over the club. They may still be unbeaten in the domestic league this season, but a visit of the impressive Gunners will put much of Liverpool's ambitions, long and short term, under the microscope. And Mascherano understands the desire of the Anfield fans to lift the title again. He added: "I know how much it means to the fans to win the title after so long, and we want to win the league as much as they do, believe me. "Everyone wants the league but we do not want to just put the Champions League to one side, certainly we need to make amends for what happened in midweek. "We have this strong belief and mentality here that we can do it in the league. But of all the leagues I have played in, and I always tell people this, the Premier League is by far the toughest. "Every team can give you a run for your money. A lot of teams are quite even, but the good thing for us is that we have got great players and we have still to go to play all the teams above us." He continued: "This is a massive game, and the best thing is it will give us the chance to close the gap on the top. 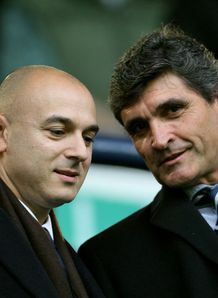 It's the sort our game in which we can prove we are ready for a season-long challenge for the title." 0 Comments Published by KL Ocs Kid on at 10:31 AM. 0 Comments Published by KL Ocs Kid on Wednesday, October 24, 2007 at 10:45 AM. UNLESS he had a trip to Derby pencilled in his diary, Mark Clattenburg’s ban from refereeing in the Premiership this weekend is a fat lot of use to Everton. What would have been more helpful is if he had come out half an hour after Saturday’s derby to explain what the heck was going on. I know it’s an age-old argument but if referees explained their decisions or admitted their mistakes straight after a game it would gain them more respect and might save them the humiliation of these public punishments. But then nobody connected with the secret society that is officialdom seems to want to do themselves any favours. And that was the root of Clattenburg’s calamities on Saturday. It started with the sending-off of Tony Hibbert. I don’t think anyone would have complained about him just receiving a yellow card for that challenge. Clattenburg seemed to be thinking that way too initially but regardless of whether he was influenced by Steven Gerrard, with cameras scrutinising your every little move, it just doesn’t look good if you change from yellow to red and leave yourself open to that kind of suggestion. It was one David Moyes was only too quick to make after the game. Valid or not, the constant refusal of referees to immediately answer such accusations only arouses suspicion. Of course, Moyes might not have been moved to mention that if he wasn’t so wound up about what Clattenburg then proceeded to do for the remainder of the game. If his first error was an honest mistake then his subsequent demise was all of his own making. The individual decisions were one thing, but it seemed he was affected by the gradual loss of control he seemed to suffer throughout the game. Remember, this was a derby. People aren’t playing with their brains and it can get volatile at any moment. You can’t let the players referee the game and the bottom line is he had a seriously bad day once he allowed that to happen. It affects concentration and that’s when you get major decisions wrong. Dirk Kuyt really should have been sent off just for the intent of that lunge towards Phil Neville, then who can explain the refusal to give a penalty at the end? Under what circumstances do you not give it? He was close to the incident, had a good view and it was as clear a wrestle to the ground as you could wish to see in the penalty area. Clattenburg would have made his life so much easier if he had pointed to the spot. Everton might have drawn and the sense of injustice wouldn’t have been anywhere near as deep as it was come Saturday afternoon. Moyes himself said that he probably wouldn’t have made as big a deal over the previous decision but the last one tipped him over the edge. Overall, it’s a shame. 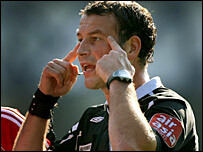 Clattenburg was supposed to be the next up-and-coming referee who was going to be the man for the big occasion. They don’t come much bigger than Merseyside derbies and he got it wrong. But I still think officials and their bosses could handle things much better both during and after games otherwise they will continue to be the main talking point. And I thought that was what a good referee was supposed to be able to avoid. FOR the rest of this week, Liverpool and Everton will have to adhere to the old cliche about derbies being one-off occasions when the form book goes out of the window. They have big games in Europe and dwelling on events at Goodison won’t help the preparation one bit. Liverpool might have won but it was one of those days when they didn’t play particularly well and got away with it. When it was 11 against 11 they were second best and didn’t really create much. And if you can take Steven Gerrard off for committing the heinous crime of showing passion in a Merseyside derby than I, for one, have officially given up trying to second guess what Rafael Benitez will do. But it ultimately worked out for him and at least he knows now he doesn’t necessarily have to rely on his captain or Fernando Torres to steal a win from a tight game. That’s the fact that will give him the most confidence when he goes for the victory he needs in Besiktas tomorrow. As for Everton, the start of their UEFA Cup group campaign couldn’t have been better timed. Imagine if they hadn’t made it this far and the had a full week to wait between the derby defeat and this weekend’s trip to Derby. It would’ve been agony. As it is, they don’t have long to wait to get over the result and they’ll be desperate to make amends for what they feel was daylight robbery against Liverpool. All they need to do is play at the same tempo and with the same philosophy and they should kick off with a much-needed win. 0 Comments Published by KL Ocs Kid on at 10:39 AM. 0 Comments Published by KL Ocs Kid on at 10:37 AM. Liverpool have often talked about calling on the Spirit of Istanbul, that elixir that drove them to break AC Milan's stranglehold and hearts in the 2005 Champions League final here. Now Liverpool need to show the Spirit of Istanbul in another stadium by the Bosphorus. Their season will be shaped by how they fare against Besiktas tonight. With the home fires hardly burning brightly in the Premier League, once again Europe offers Liverpool a passport to paradise. Having drawn with Porto and lost to Marseille in Group A of the Champions League, Rafa Benitez's side really need to win in the Inonu Stadium. "We have to be in the knockout stages," stressed Benitez on arrival here yesterday. "I am really pleased to be in Istanbul. I have very good memories." On that amazing night two years ago, Liverpool made countless precious deposits in the memory bank. Benitez leaving the dressing-room door open at half-time so his drained players could hear the fans singing You'll Never Walk Alone. Steven Gerrard leading the fight-back from three goals down. Jamie Carragher battling cramp. Jerzy Dudek's shoot-out homage to old spaghetti legs, Bruce Grobbelaar. Images and events that will never be forgotten. Benitez, ever the perfectionist, quizzing his jubilant players at the post-match banquet about their marking in the first half. Vladimir Smicer and Milan Baros heading off to Taksim Square to party with the fans. Gerrard waking up with the European Cup at the foot of his bed. The tears of a proud chairman, David Moores. Liverpool will always have Istanbul (and a few official banners from the Ataturk Stadium did make their very unofficial way back to Merseyside). They must display such grit again in Europe because the Premier League's Old Firm, Manchester United and Arsenal, are back in duelling business at the top of the table; the pair even offer the most attractive football in the land (with a respectful nod to Harry Redknapp's Portsmouth). Benitez mentioned Anfield's heightened expectations under him. "When I arrived here, they said it was difficult to finish in the top four and qualify for the group stages every year, but in the last three years we have always been there. Now people think we must do it always. "As soon as the draw was made, people said we were in an easy group and I said we weren't. I knew Porto and Marseille would be difficult, and Besiktas could be. This is a difficult game." As Benitez and his players strolled into the ground for training last night, the Inonu was full of peace and quiet. In the secretary's office, a ginger cat curled up in a chair, fast asleep. Although lacking the intensity of the Ali Sami Yen, where Galatasaray officials parade a lion on the pitch before kick-off, the Inonu will reverberate tonight. Besiktas fans had already been in during the day, hanging banners proclaiming "The God of Another Mood" and "132 Decibels" close to where Liverpool fans will stand. Such words will hardly intimidate the travelling support; of more concern was the sight of extensive netting covering the away section. Beware missiles. Benitez knows the Inonu well, having guided Valencia to victory here en route to Uefa Cup glory in 2004, although the Spaniards endured a torrid night with Turkish fans at their belligerent worst. "I am sure the crowd will be good," smiled Benitez. Riot police will be out in force, as usual with football matches in these parts, but a heightened tension grips Turkey that cannot be escaped by even the most unworldly-wise visitor. Benitez was even asked his views on Turkey's escalating dispute with Kurdish rebels on the border with Iraq. "The situation is really difficult," responded Benitez. "We just try to be focused on sport." Some events in Istanbul are being cancelled, notably Beyonce's planned concert tonight to celebrate Fenerbahce's 100th anniversary. The master of detail, Benitez was applying the little grey cells to the best means of dealing with Besiktas. They have yet to score or take a point in Group A but deserve respect at home. Fireworks are expected. Besiktas players have received a "code of ethics" from the Turkish federation, urging them "to show respect for opponents, referees, team-mates, officials and fans" and "to oppose cheating, intimidation, feigning fouls or injury". Despatched to all clubs in Turkey, the missive encourages teams "to play by the fair play guidelines, accept defeat with dignity, be aware of the consequences of emotive language and negative behaviour, and promote football which is passionate, skilful, safe and honest". Liverpool's defence will certainly be careful of Besiktas attack, the all-Brazilian combination of Bobo and Marcio Nobre. 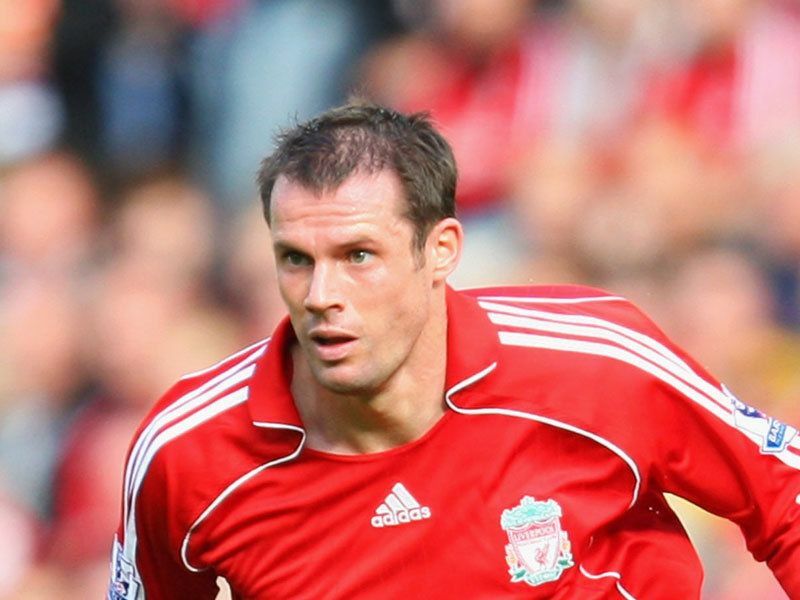 Jamie Carragher and particularly Sami Hyypia will need the protection of Javier Mascherano in front of them. Mascherano may be partnered by Xabi Alonso, now fit following metatarsal trouble, with Gerrard breaking forward in support of Dirk Kuyt. Ryan Babel and Jermaine Pennant are expected to provide the width while restraining Besiktas' attacking full-backs. Liverpool head into their crucial Champions League contest with Besiktas without top scorer Fernando Torres who has been forced to withdraw from the squad. Torres was expected to recover from the thigh injury which ruled him out of Saturday's Merseyside derby, but tomorrow night's match has come too soon for the Spaniard. Liverpool know that defeat in Istanbul will make qualifying for the knockout stages an uphill task after only picking up one point from their opening two encounters in Group A. Their opponents are bottom of the group after losing their two matches, but Liverpool midfielder Javier Mascherano has stressed the importance of getting their European venture back on track. "From now on every game is a final at least in the group stages," Mascherano said. "We have to get three points, we have no other option. With the defeat to Marseille we've made things difficult for ourselves, but a win on Wednesday would go a long way to putting our destiny back in our own hands. "We'll certainly be going into the game with a lot of desire and a lot of will to win." Xabi Alonso could return in midfield for Rafa Benitez's side after recovering from a metatarsal problem which has kept him sidelined since mid-September. The Spanish midfielder has echoed Mascherano's sentiments in their need to collect three points in Turkey and ranked it as more important than their win over Everton at the weekend. "It's absolutely a must-win game. It is massive because if we are to recover and get in the top two of the group, we have to win this match," Alonso said. "It's very important, probably even more important than the three points on Saturday." Provisional squad: Reina, Finnan, Carragher, Hyypia, Riise, Benayoun, Gerrard, Mascherano, Sissoko, Alonso, Pennant, Crouch, Voronin, Kuyt, Babel, Lucas, Hobbs, Itandje.